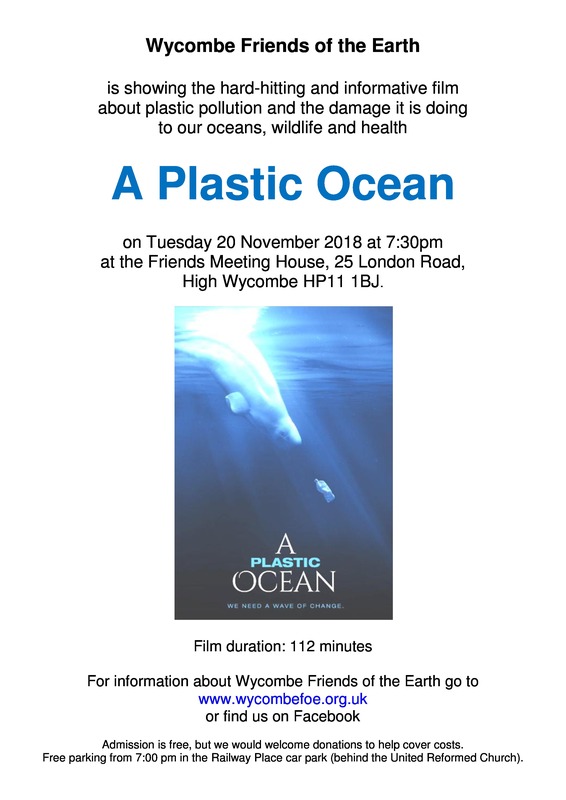 Wycombe Friends of the Earth is showing "A Plastic Ocean", a hard hitting and informative film about plastic pollution and the damage it is doing to our oceans, wildlife and health. Film (documentary) duration is 1h 50min. All welcome. Nearby parking (free from 7pm) is available in the car park behind the United Reformed Church. Admission is free, but we would welcome donations to help cover costs. For more information go to www.wycombefoe.org.uk or find us on Facebook.